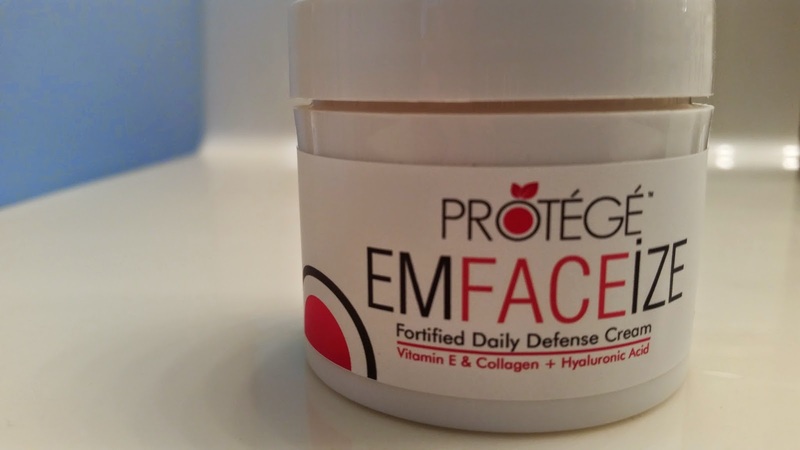 Protege EmFACEize Fortified Daily Defense Cream comes in a cute little velvety bag and a 2 oz (60mL) container. The packaging says that a little goes a long way and I have to agree. Just a dip of your fingertip will suffice for half of your face. Another dip for the other side. This daily defense cream is not tested on animals and is cruelty free. It is packed full of amazing ingredients which are designed to help fight against environmental damage and keep your face feeling young and moisturized. I was a little bit worried when I saw the yellow color of the cream. It gives it a thick almost glue look. You need not worry though because it is not thick. It has the perfect creamy-ness to it. It will also not leave your skin feeling greasy. It has a skin-firming non-greasy formula. Regular use will make skin appear younger, fresher & more translucent. The only thing I am having somewhat issue to with this product (personal preference mind you) is that I can't quite put my finger on the smell. It is not unpleasant though! I just can't quite figure out how the scent would be described. 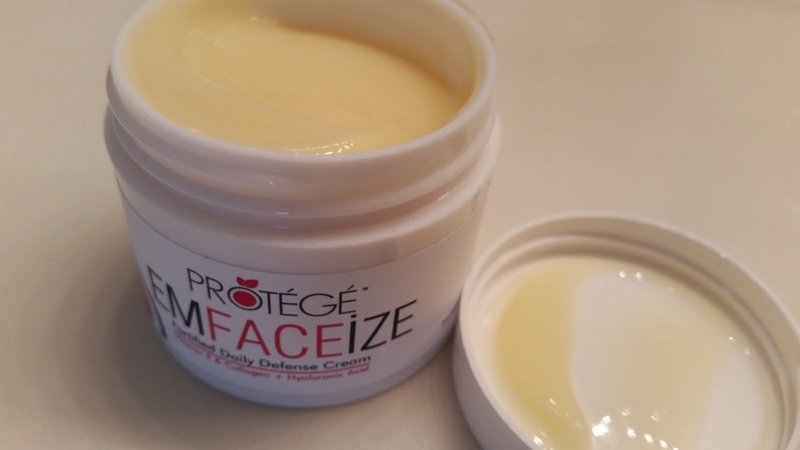 This product can be purchased for $29.99 on the Protege Beauty website! I was super excited to receive this product for review. I am normally the girl that just uses whatever brush comes with the products I buy. This was truly a treat. 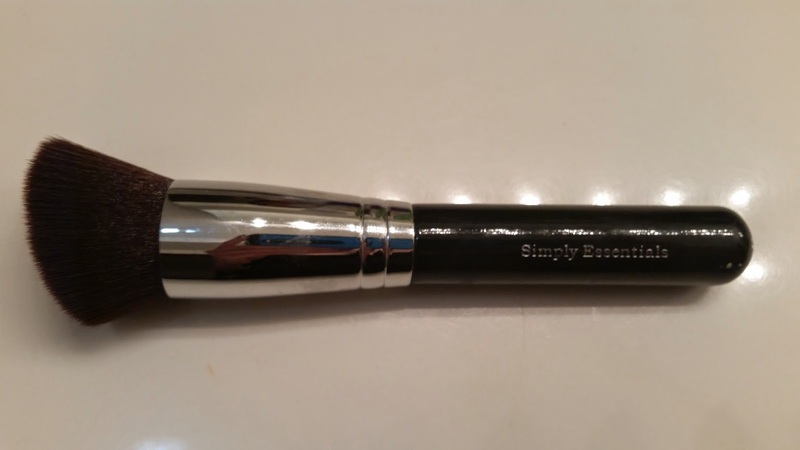 The Kabuki brush by Simply Essentials is angled for maximum coverage. The handle is wooden and the bristles are soft and secure. You don't have to worry about shedding. I have one word to describe the feeling of this brush. . . luxurious. It feels amazing on your face and really does have amazing coverage. It is great for all kinds of makeup. 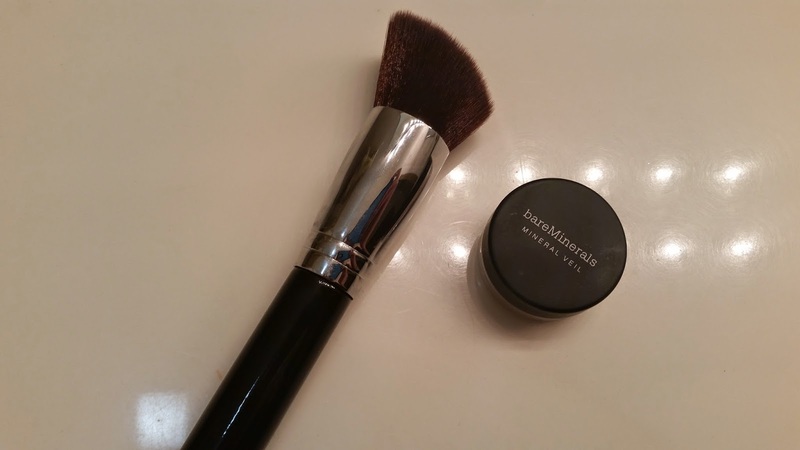 I used mine with my bareMinerals mineral veil powder and also with my bronzers and blushes. Right now it is on sale on Amazon for $14.99 (normally $29.99) which is an amazing price! 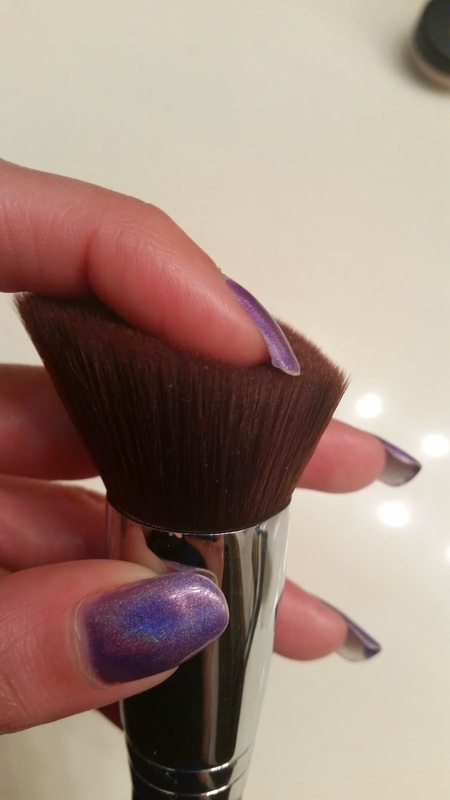 I will definitely be checking into buying more brushes like this! 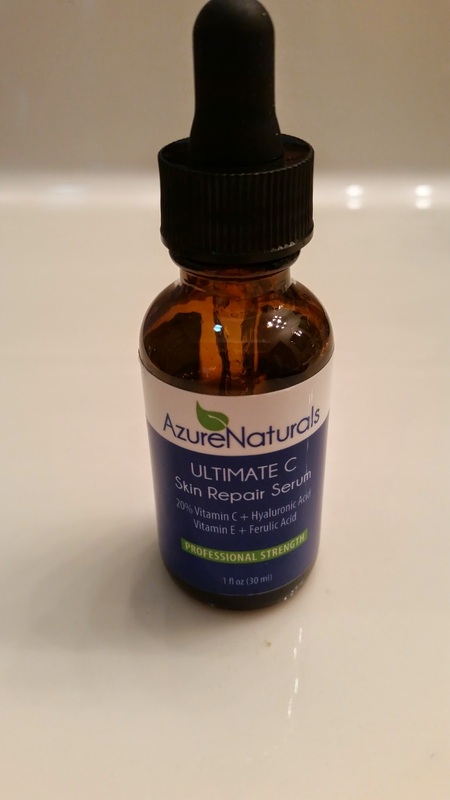 Azure Naturals ULTIMATE VITAMIN C Serum Review and Giveaway! I have become a huge fan of using Vitamin C Serums this summer. (As you probably have seen in previous reviews). I have mentioned before in my review for Azure Naturals Hyaluronic Acid Serum that this Vitamin C serum and the Hyaluronic Acid serum have become a daily part of my morning and night skin care routine. 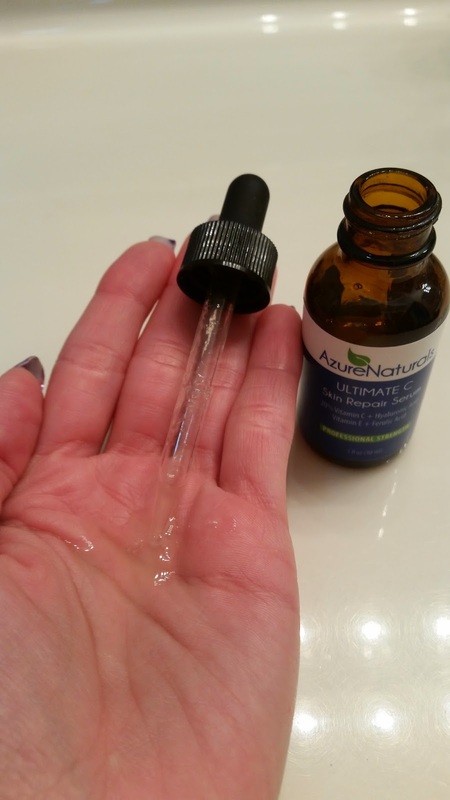 The Azure Naturals Ultimate C Skin Repair Serum comes in a 1 fl oz (10 mL) glass bottle with a dropper applicator. A little bit really goes a long way! Just one dropper full should give you enough coverage for your face and neck! (This bottle is sure to last you a long time). It is recommended to use in the morning before your makeup routine and at night after you take off your makeup. As I've mentioned before, vitamin C serums are wonderful on sunburn. If I come home with a slightly burnt face after a morning run (the sun can be brutal!) I shower then apply this and the next day, no burn! Miracle worker. This vitamin C serum will make you face feel firmer and smoother. It minimizes the signs of wrinkling, and brings back a youthful glow to your skin. The company says to give it about 30 days to start seeing optimal results. Made in the USA With The Highest Quality Natural and Organic Ingredients Available: 98% Natural, 72% Organic. Contains No Alcohol, No Parabens, Gluten Free, Plant Based, No GMO's, Cruelty Free and Never Tested On Animals! Key Ingredients: 20% Vitamin C + Vitamin E + 11% Hyaluronic Acid + Ferulic Acid. Also contains Organic Aloe + Advanced Amino Complex + Organic Jojoba Oil. 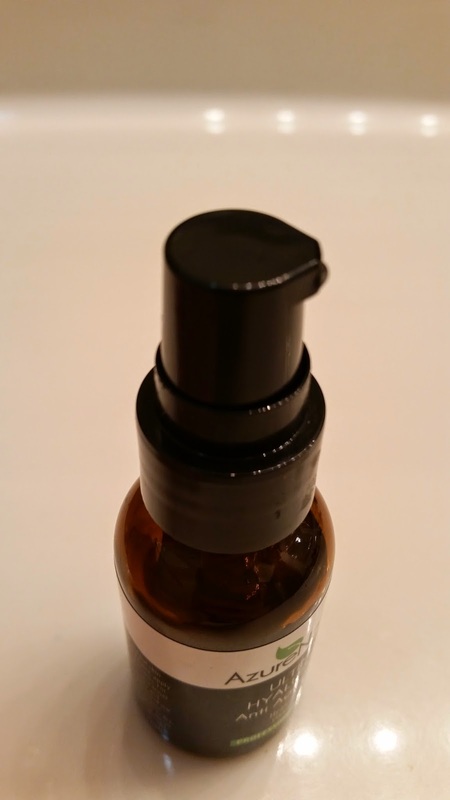 The cool thing about Azure Naturals Vitamin C Serum? You have a ONE YEAR MONEY BACK GUARANTEE. You can use the code AZUREBLG for 30% off your order today and tomorrow! This vitamin C serum is available for purchase on Amazon for $19.95 currently! I will also be hosting a giveaway on my Facebook page (BINGO!) so you will have a chance to win one! The BINGO giveaway game will be held Saturday August 2 at 7pm CST. Be on the lookout for the post this week so you can get your numbers in! :) I look forward to playing with you! Do you work out? I started running this summer and sometimes my calf muscles ache so bad the next day! 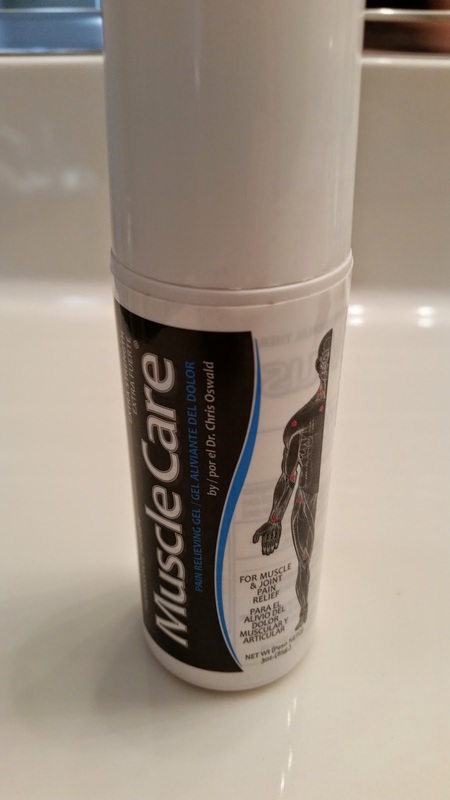 I started using the MuscleCare Extra-Strength Roll-On applicator on my sore muscles and it really worked wonders. The active ingredients in this product are: Camphor and Menthol. It is used for temporary relief on minor aches and pains of muscles and joints. The directions say to only use if you are 12 years of age or older and not to use it more than 3-4 times daily. I actually suffer from frequent headaches and decided to try it out on lessening the pain. I just rolled on swoop over my forehead and instantly I felt a cooling sensation and it may have just been my imagination, but the pain of my headache felt less. (Please note that this product does not specify that it should be used for headaches, I just decided to test it myself). This feel amazing on your aching muscles after a workout (or the next day). It is supposed to also help the pains from arthritis, backaches, bruises, sprains, etc. Smell: Very strong smell of mintyness? Actually if you have ever smelled Vicks Vapor Rub. . . that hits it right on the nail! I actually found it quite pleasing and reminded me of when I was little. I will for sure continue use of this product! It is also available for purchase at: Walgreens and these other retailers: Where to buy. I want to first of all thank my fabulous and wonderful friend Rebekah for letting me borrow an orange polish (I'm running low. . . I think I only have one or two more after this!) for today's "Orange You Glad It's Friday?" post. So I know I said I might attempt some nail art with today's post. I somewhat delivered . . . but didn't do what I had originally planned. I WAS going to paint an orange on an accent nail. Then I realized I threw out my nail art brushes (they were awful ones from China). So. . . I decided to finally give my fimo canes some use. (Bought them off of Amazon for super cheap). This is OPI - "It's a Bird, It's a Plane, It's OPI!" 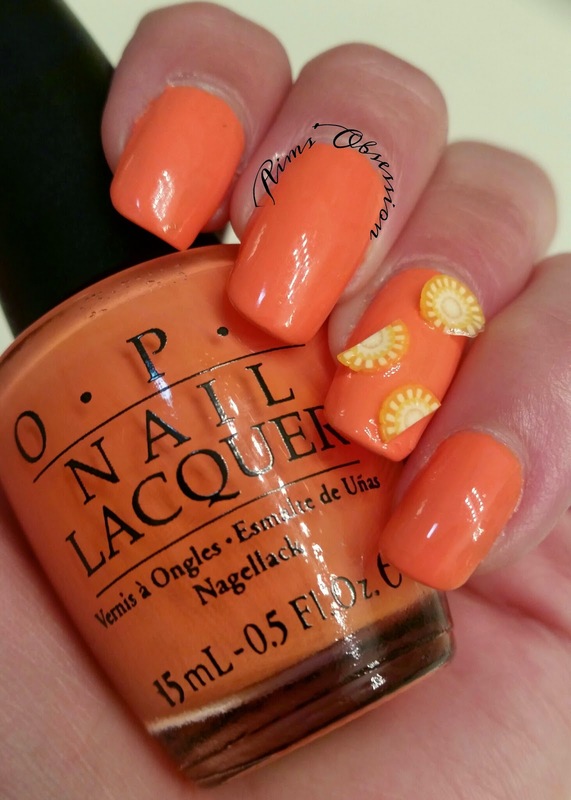 It is a bright orange creme polish with a fantastic formula. Dry time is pretty awesome too. I had the brilliant idea last night to paint my nails at 11 pm then go to bed. No sheet prints! :) This is 2 thin coats. What do you think? 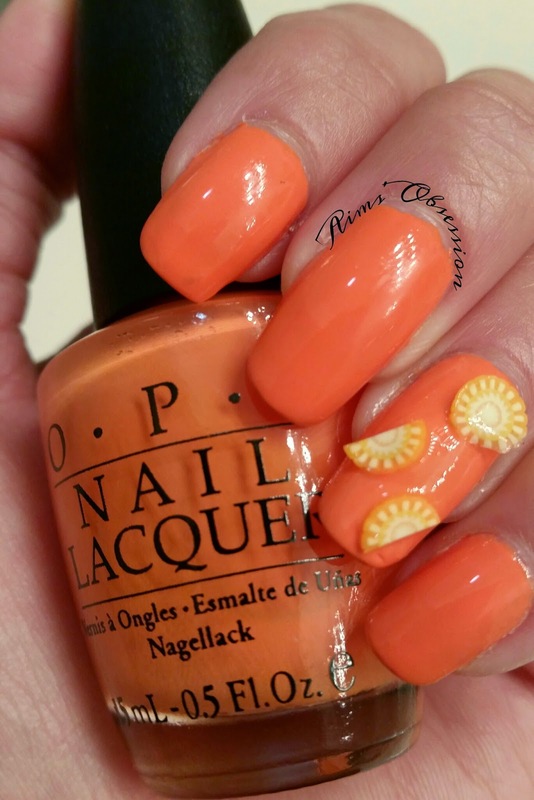 Fun summer mani? Do my fimo canes look like oranges to you? This gorgeous 4-free and cruelty free polish is called Pegasus Poots. (teheheheheehehehehe) It is a light violet (I would even say a lavender) linear holographic crelly polish. Absolutely stunning in the sunlight. The formula like all other Vapid Lacquer polishes I have tried is wonderful. I used 2 thicker coats (I was in a hurry last night!) of polish and quick dry top coat to complete this look. If you go for thinner coats you might need 3. I've been staring at my nails all day. :) Super sad that I have to take it off tonight since tomorrow is "Orange You Glad It's Friday?" However, I may try to attempt a little bit of nail art. We'll see. What do you think of Pegasus Poots? I would love to hear your opinion! Pegasus Poots is currently sold out on the Vapid Lacquer website but Krys has assured us that it will be included in the restock at the beginning of August. WOOHOO! Be quick on the trigger ladies! This one will probably go fast. (I know many ladies who are waiting for it to come back in stock). When it is back in stock it will be $10 for a full size bottle (15mL) and $5 for a mini bottle like mine! 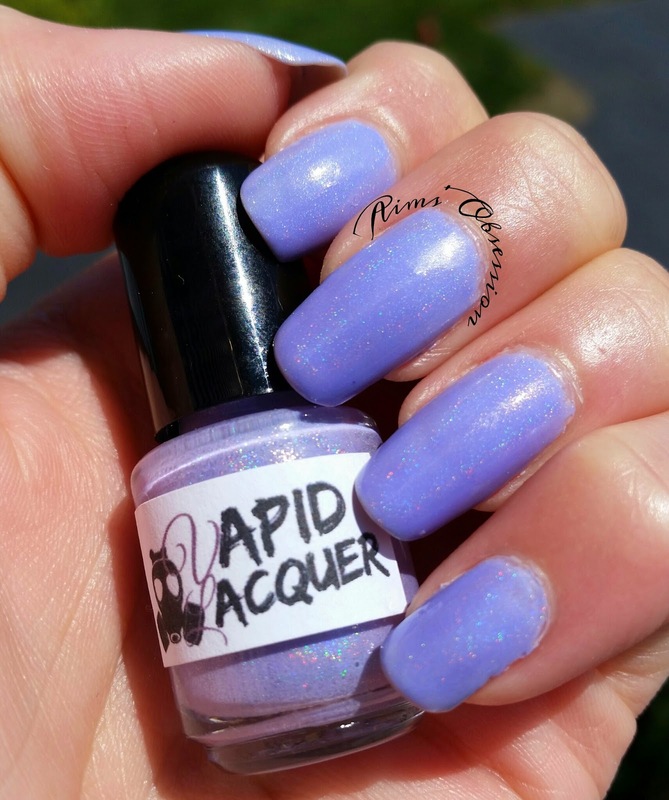 Keep up to date on Vapid Lacquer! Adovia Eye Cream comes in a 30mL glass container. The product presentation is really nice, don't you agree? As with a lot of the products I've reviewed, a little bit goes a long way. Dab a small amount on your finger and gently apply around your eyes in the morning before makeup and at night before bed. The skin around our eyes is very delicate and therefore is one of the first areas on our body to start showing signs of aging. Adovia Eye Cream will help reduce wrinkling, fine lines and dark circles around the eyes. 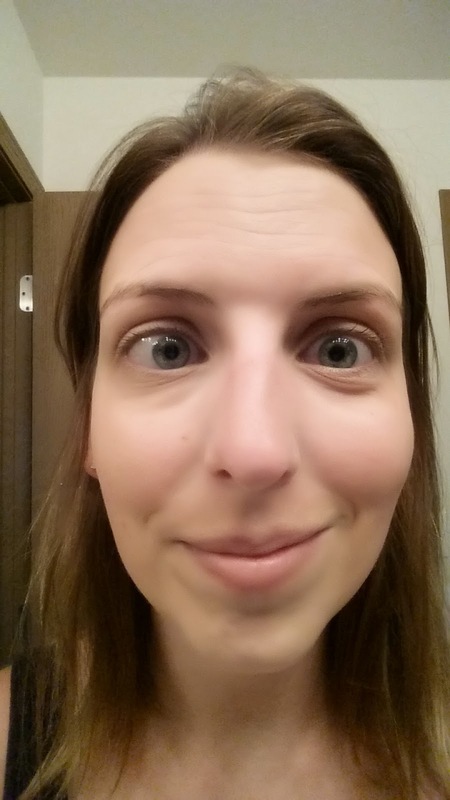 It is a very light weight feeling so there is no worries about a heavy feeling around your eyes. It is quite luxurious feeling actually. -Reduces the appearance of wrinkles around your eyes and smooth out fine lines. -The delicate skin around your eyes requires a special, gentler touch. 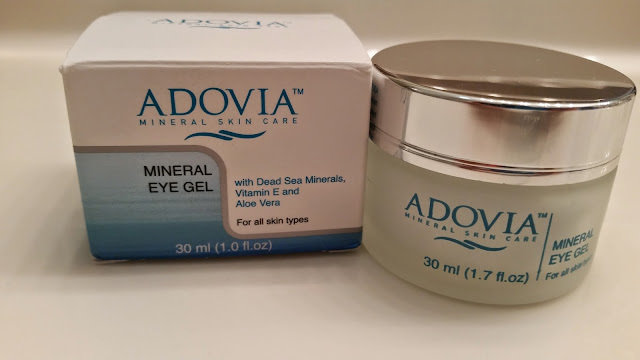 The Adovia eye gel is unique in that it's a light softer gel which is highly concentrated with nutrients your skin needs. 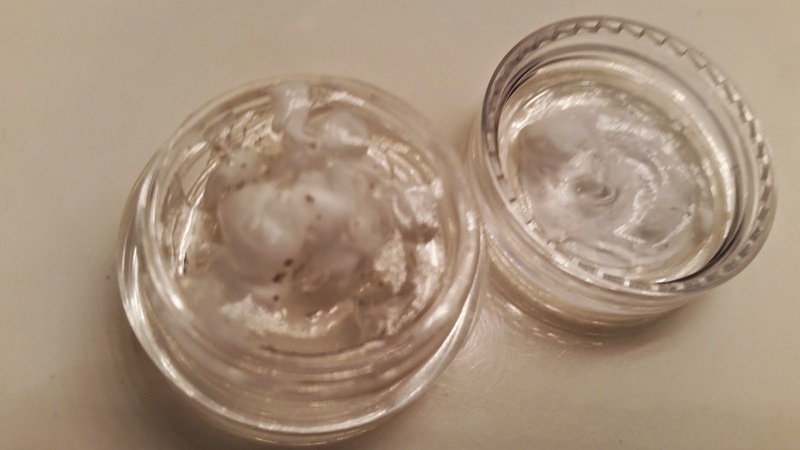 -Makes skin around the eyes have a more beautiful, youthful glow. 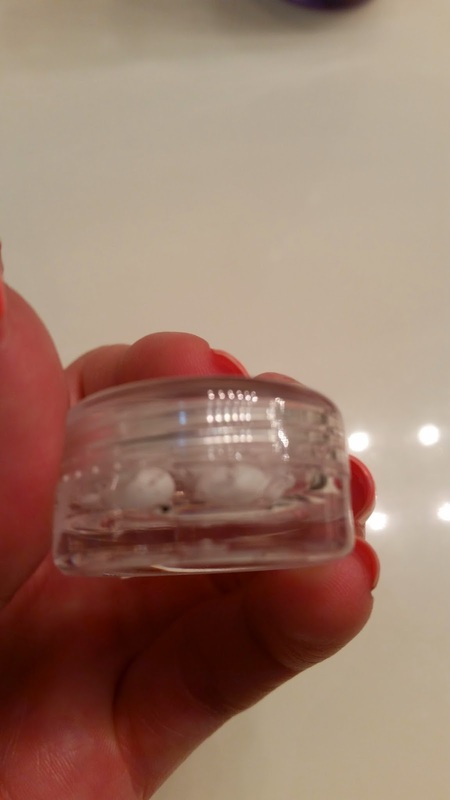 -This sheer, light gel is infused with active minerals from the Dead Sea to soothe and protect the delicate eye area from dehydration and the signs of aging. -Vitamins A and C - natural Antioxidants - work to protect the skin from daily damage. Adovia Eye Cream is available for purchase on CleopatrasChoice.com for $29 (on sale from $55). When I saw that I could review for the CanvasHQ company and receive my own customized canvas picture, I jumped right on it! (Stay tuned to the end of the post for a giveaway notification). The process was super easy to do and shipping was fast as well. 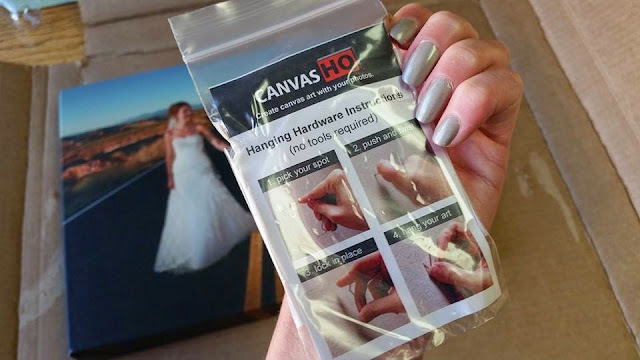 To make your own customized canvas you go to the CanvasHQ website and click on "Start Your Canvas" at the top. Then they will ask you to upload the picture you want on your canvas. You can upload from FaceBook if you would like! Once you've uploaded your picture there are many different options to play with. 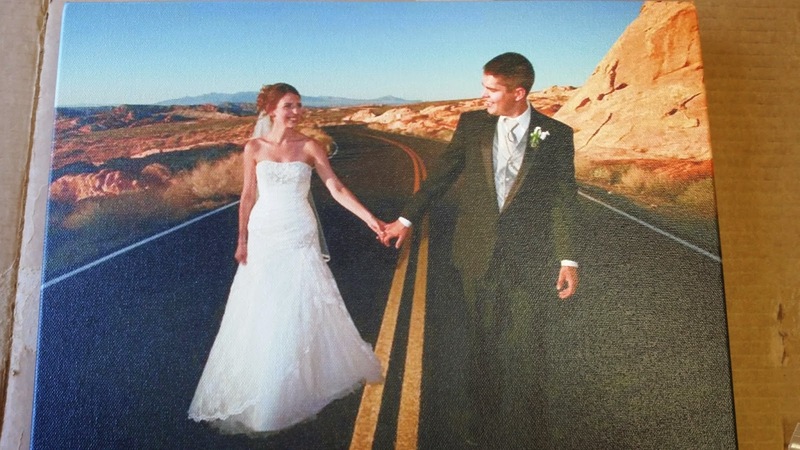 Ex: orientation, size, border, frame, depth, canvas finish, and image effects. There will be a little preview of your canvas in the top right (pictured over a couch so you can best imagine what your canvas will look like). Then when you are finished and satisfied you buy! The website will send you a preview through email to double check that everything is to your specifications. 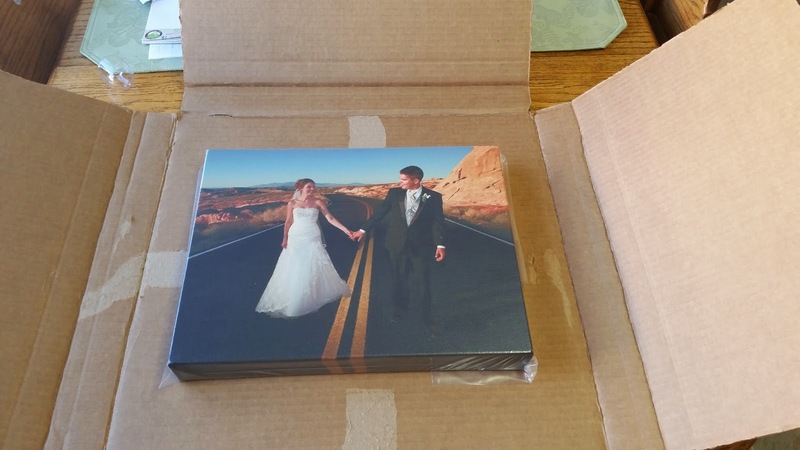 Once you approve, your custom canvas will be on it's way to you in about a week or less! 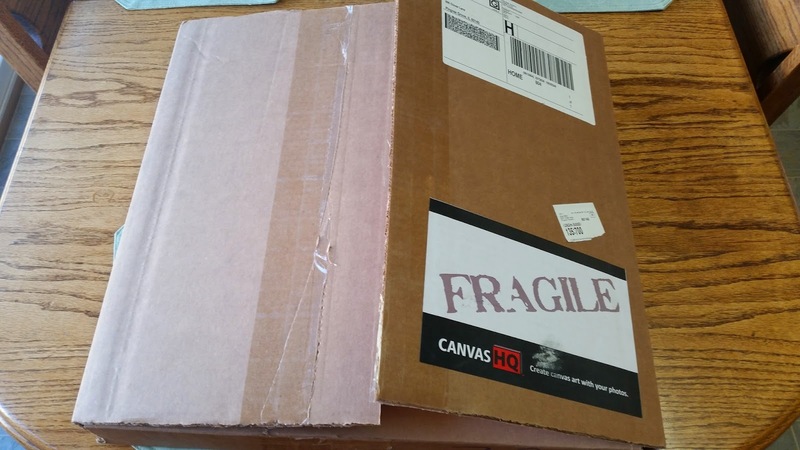 Your canvas will arrive safe and securely in a similar box as pictured above. 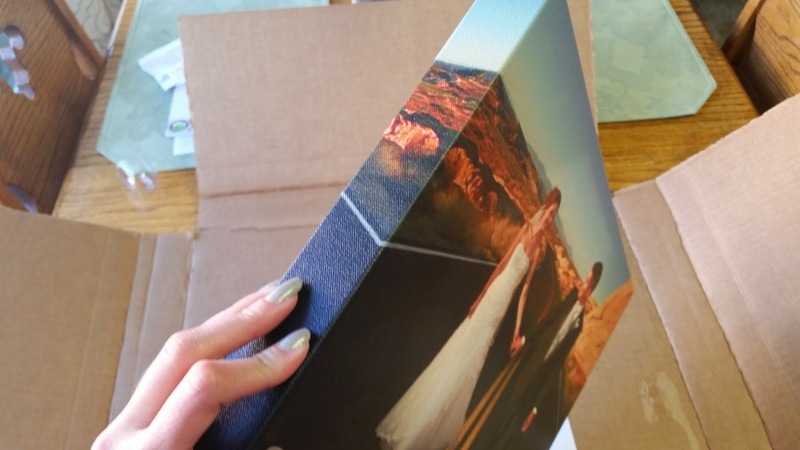 Your custom canvas will be wrapped in plastic and taped down into the box to avoid bumping around and damaging the picture. (I was super excited and already ripped off the tape. Whoops). 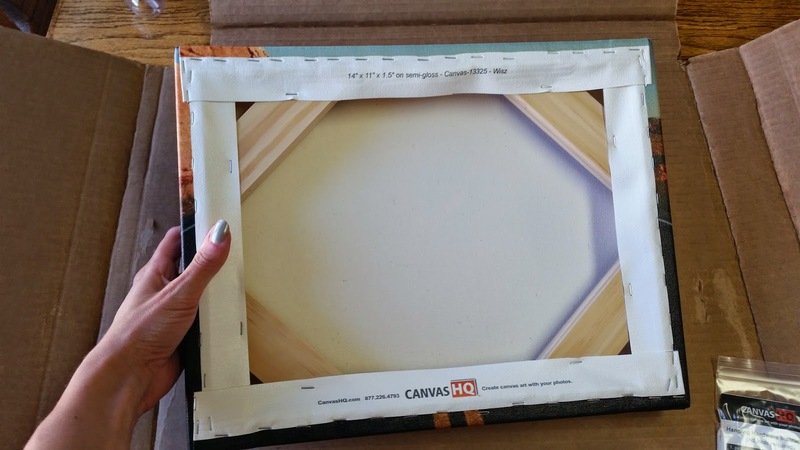 It will also come with materials to hang your canvas. (I still haven't used it because I haven't decided a permanent spot to hang my canvas yet). The instructions look pretty easy and you do not need any tools. Pictured above are a few more views of my customized canvas. I'm pretty happy with the result! What do you think? Ok! Now for giveaway time! 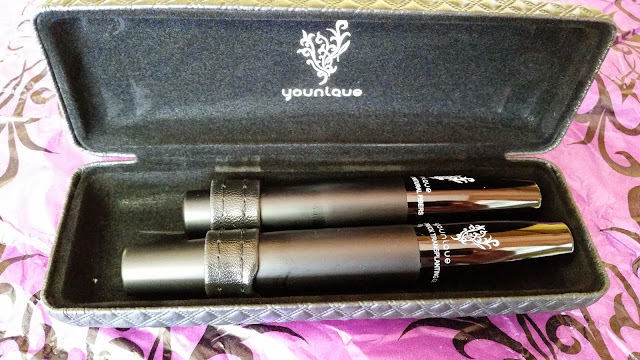 If you saw my previous post, you know that my friend Maggie (who is a Younique Independent Presenter) sent me some Younique products to review and share with you. 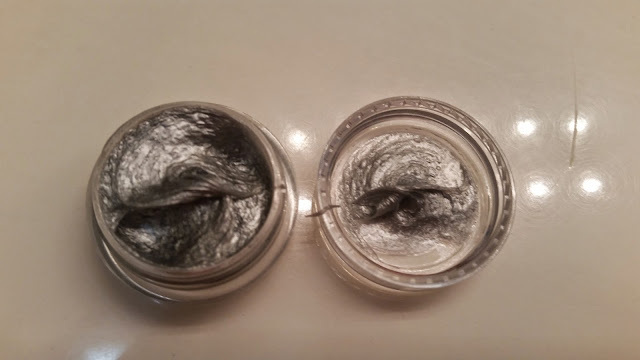 I have two more products to share with you today! 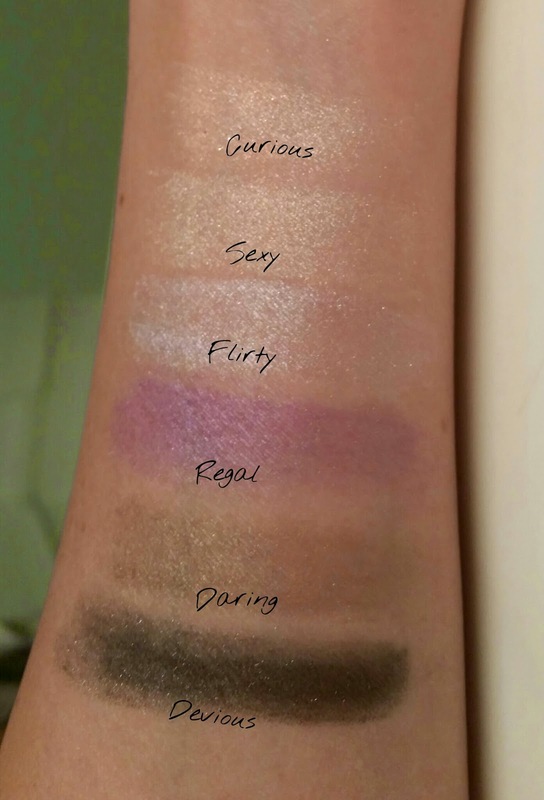 (I had the most hilarious time swatching these. Let's just saw my bathroom was very colorful). 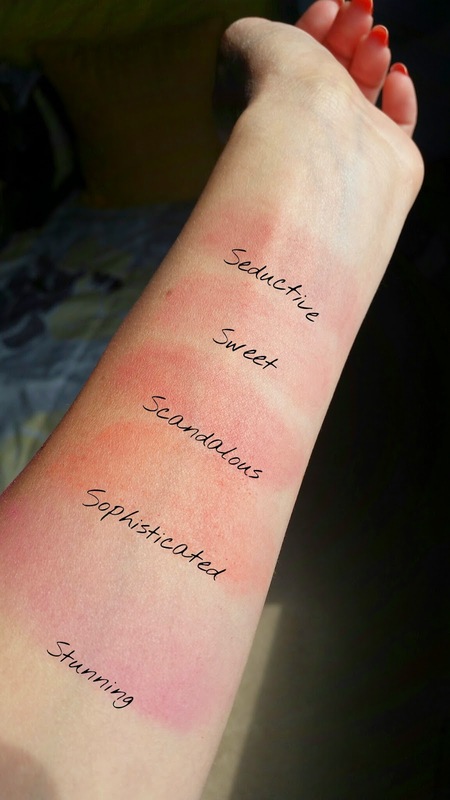 These Moodstruck blushes are highly pigmented and gorgeous! 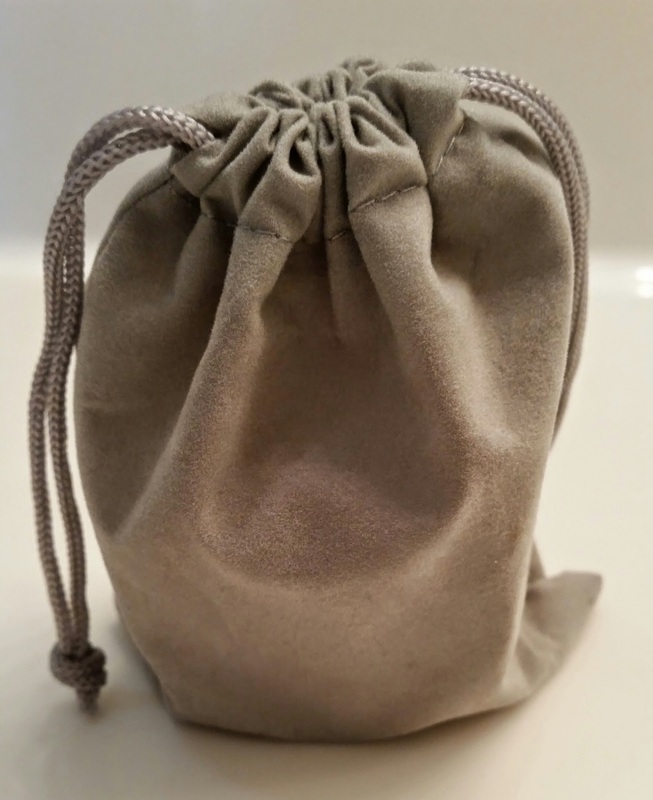 They come in a cute powder pot and are 100% natural, chemical-free, mineral-based pigment powders, free of talc, oils, preservatives, perfumes, synthetic dyes and parabens. Again, a little bit goes a long way with these highly pigmented shadows. You can use these dry or wet and you can use them as eyeshadow or eye liners. Above are a few of the colors available but there are 32 colors available on the Younique website. These also come in cute powder pots and are 100% natural, chemical-free, mineral-based pigment powders, free of talc, oils, preservatives, perfumes, synthetic dyes and parabens. Moodstruck Minerals Pigment Powders are available for purchase on the Younique website for: $10 each! Sorry I look like such a grump. (Was trying to have a serious face hehehe). Also, go give Maggie's page a "like" on facebook! 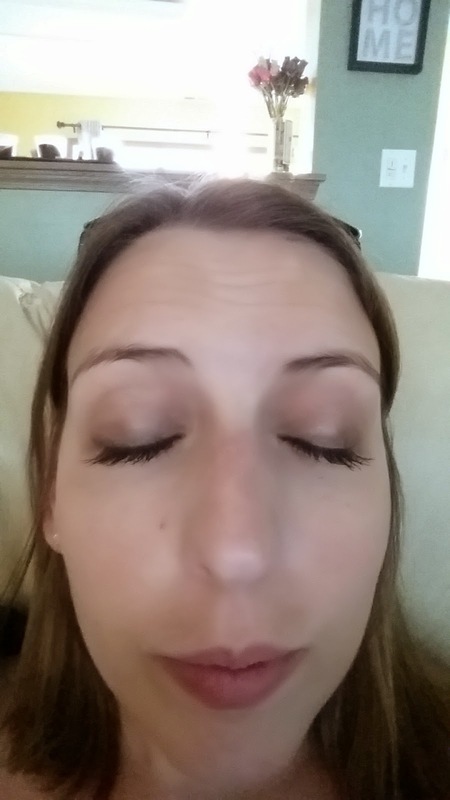 She sent me quite a few product samples to review and show you (plus the amazing Fiber Lashes kit!!). 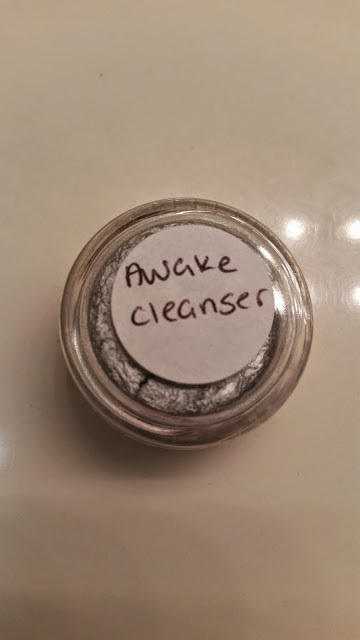 For this post I will be reviewing: Awake Facial Cleanser, Brilliant Daily Moisturizing Gel, Moodstruck Glorious Face and Eye Primer, BB Flawless Complexion Enhancer, and Moodstruck 3D Fiber Lashes. 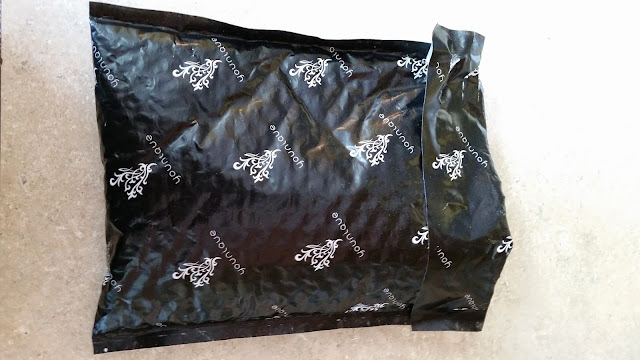 The packaging that the Younique products are sent in is so cute! The Fiber Lashes came in this black printed padded envelope. I was super excited to open it! Doesn't it look really great? I love the concept! The Awake Facial Cleanser comes in a 100 g squeeze tube. 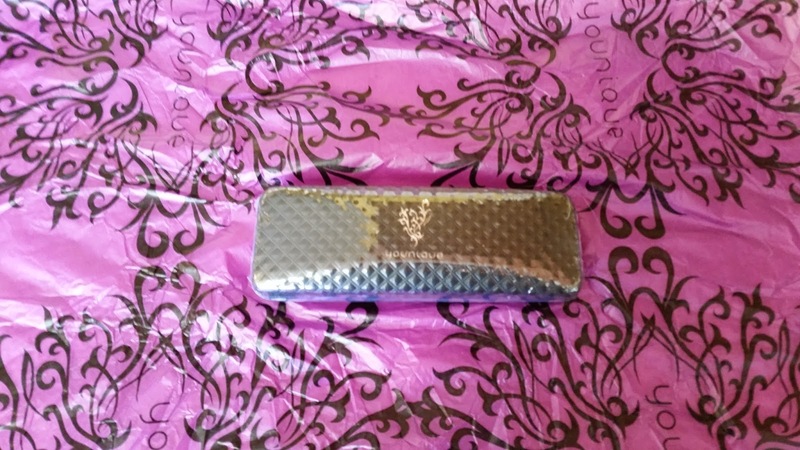 (I just have the sample here so if you want to see the packaging check out the product listing). It is made with Garden Chrysanthemum, Aloe Vera, and Licorice Root and is a really cool liquid metal color! I nearly forgot I had this sample but I used it this morning after my run (Ew I was super hot and sweaty) in my shower. A little bit goes a long way with this one. Simply squirt a dime size (or less) amount into your fingertips and apply in circular motions on your damp face. Rinse with warm water. I was impressed with this cleanser because normally I use a facial wash that has micro beads in it and I wasn't sure how this one would feel. . . would it make my face feel slimy. . . would it feel clean? No slime feeling! It was more of a smooth luxurious feeling while applying and after washing it off my face felt firm and tight. There was no sign of dirt/grossness left from my morning run. Awake contains a range of beneficial ingredients that awaken and cleanse the skin. Its thick texture transforms into an effective lather to dissolve oil and makeup, rinsing away pore-clogging surface debris, impurities, and excess oil. It refines the skin texture, brightens skin clarity, and minimizes the look of pores over time. The Brilliant Daily Moisturizing Gel is made with Natural Silver, Ginseng and Pearl Powder from Freshwater Pearls and costs only $39. Again, a little bit goes a long way. In fact. . . I put WAY too much on my first time! Take it from me. . . you only need to scoop maybe one of those white pearls out for each side of your face. ;) Either way, my face felt hydrated, moisturized and toned. 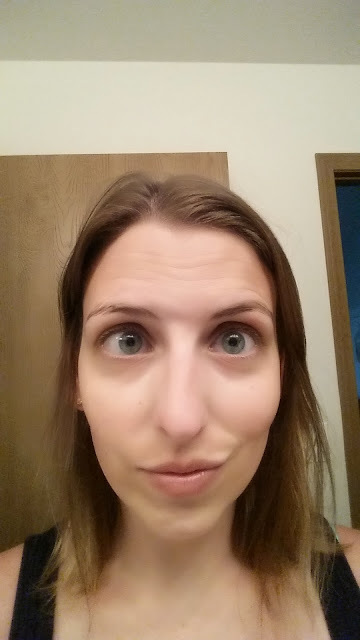 (Seriously, I felt super gorgeous after using all of these products). Brilliant Moisturizing Gel is a rich and restorative facial moisturizer that is formulated to leave the skin hydrated, energized, and healthy as it nourishes the skin with powerful ingredients. Brilliant leaves your skin feeling revitalized, toned, and radiant. My sample came in the cute little sample jar but your product will come in a very fancy/sophisticated 40mL dispenser for only $39! Check out the product's listing for pictures. You can use the Moodstruck Glorious Face & Eye Primer just as the name describes, for your face or eyes. I used it on my face in the picture above. Looks pretty good huh? I just recently started using primers before makeup on the occasional basis. I really like the Younique brand primer. It is comparable to other brands that I've tried such as: Smashbox Photo Finish Primer, and TooFaced Primed & Poreless. Prices are comparable as well. Honestly, it just depends on your preference. I say give this one a try! I think she did a pretty good job matching my skin tone don't you? 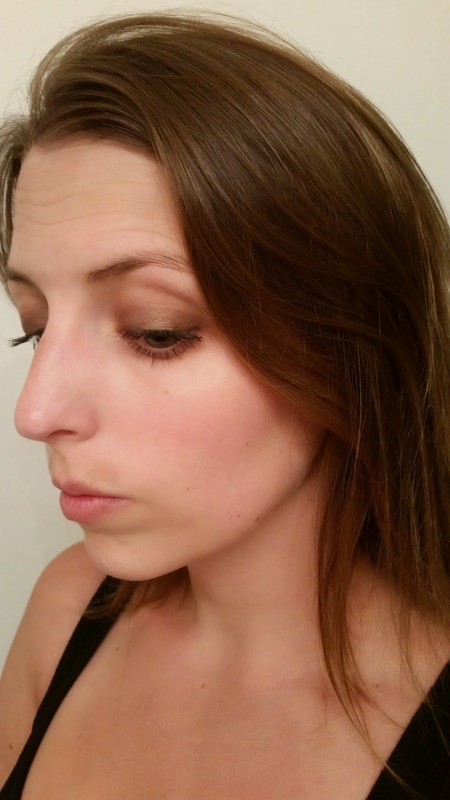 I really loved the BB Flawless Complexion Enhancer! I usually use CoverGirl (I know, I know) so this was a really nice treat! 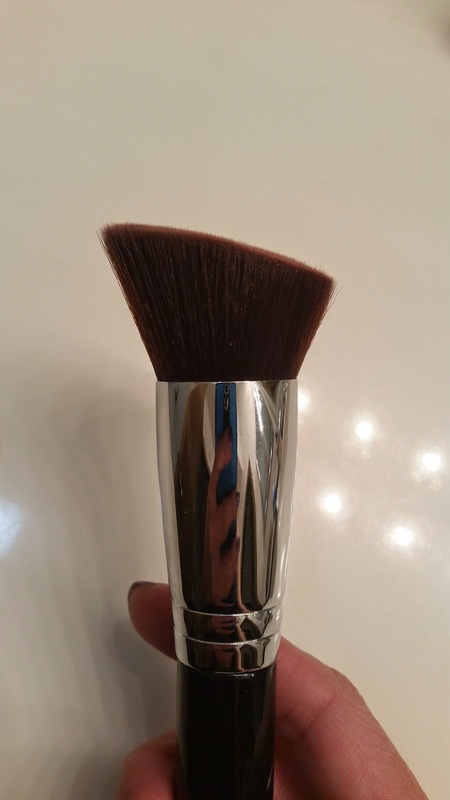 You use the BB Cream as a base for powder concealers, however I just used it alone! It comes in a 50mL container and in multiple skin tones: Cream, Bisque, Honey, Caramel, Chestnut and Carob. It's $39 also, but completely worth it because it goes a long way! I have a tiny sample container (like in the pictures of the samples above) and I'm still going strong after a week. (On my to buy list for sure). 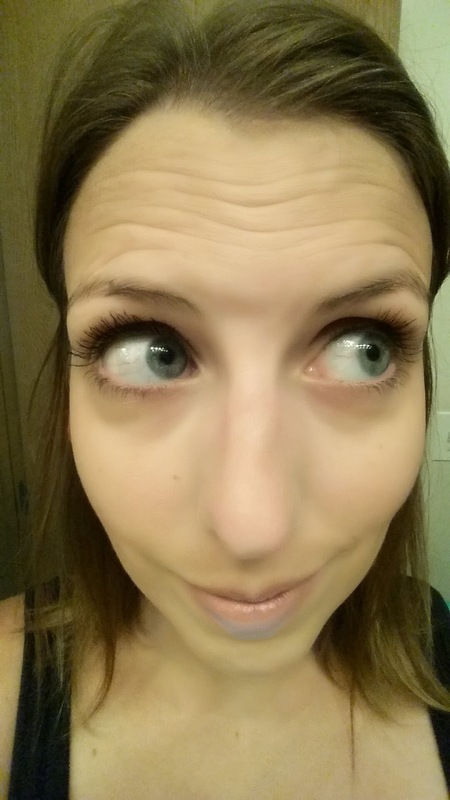 Now onto the Moodstruck 3D Fiber Lashes that I teased you with earlier! 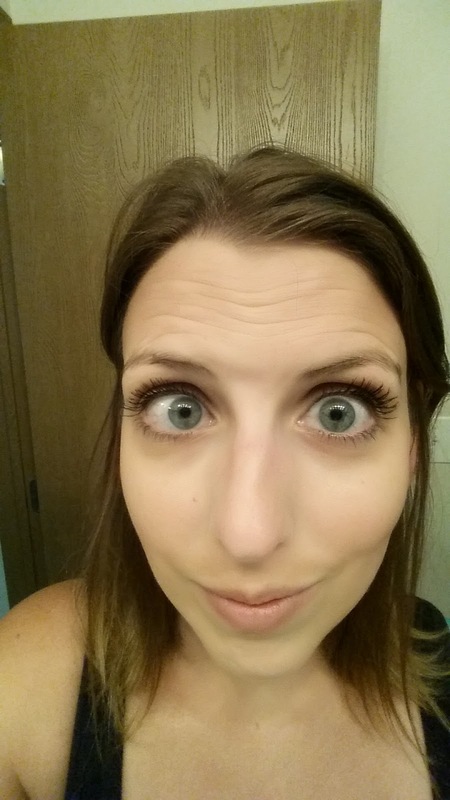 First you need to apply your regular mascara and let it dry. Now as you can see. . . 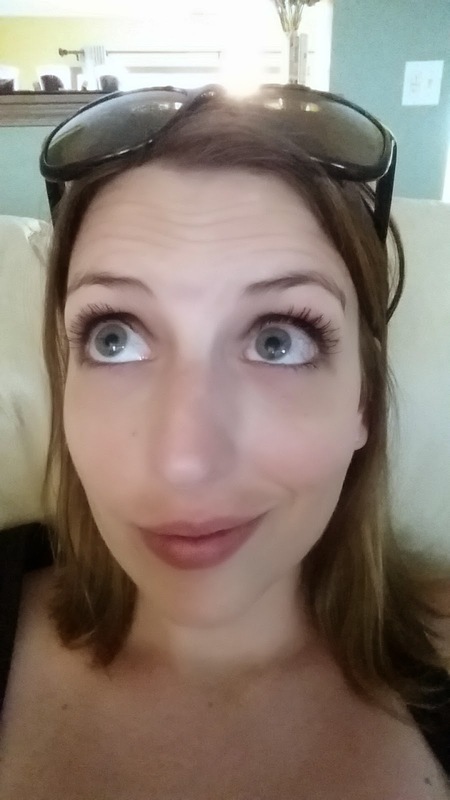 I have long lashes as it is when I put on mascara. But holy wow! Check this out! The Moodstuck 3D Fiber Lashes are available for purchase for only $29 on the Younique website. I can tell already that the kit will last quite sometime before you need to buy more so don't be shocked by the price! Maggie set up an online party for my blog where you can buy the products through. :) If you buy please buy through this link! :) THANK YOU! 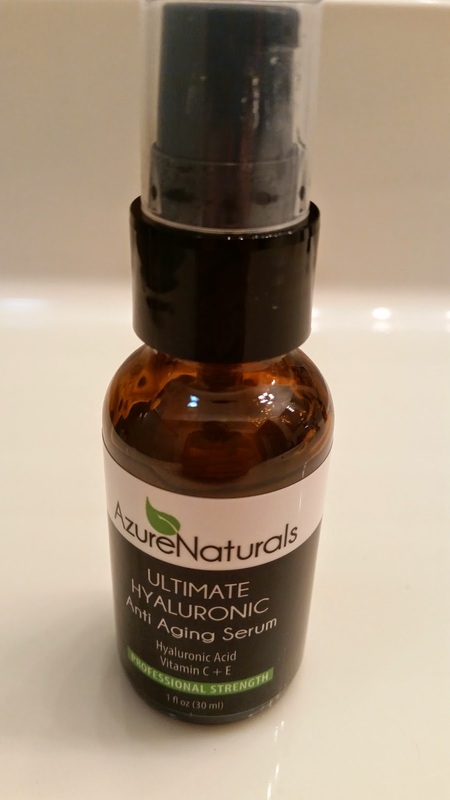 I recieved the Azure Naturals Hyaluronic Acid Serum free of payment to share my thoughts with you about the product. I use this product in tandem with the Azure Naturals Vitamin C Serum. Honestly, I really enjoyed this product. It has become a part of my daily morning routine and has more than once saved me from the effects of sunburn. (I get a little red on my face after running and just a little bit of this on my face helps it go away in one day). Unlike some products, after you put this serum on it doesn't add a heaviness to your face. It is pretty light weight. Instead of a dropper like the vitamin C serums I have been reviewing, this serum comes with a nifty pump! Also, unlike the vitamin C serums, the hyaluronic acid serum is more of a gel consistency than liquid. - ULTIMATE HYALURONIC by Azure Naturals is Made in the USA and Contains the Highest Quality Natural and Organic Ingredients Available, 98% Natural, 72% Organic! 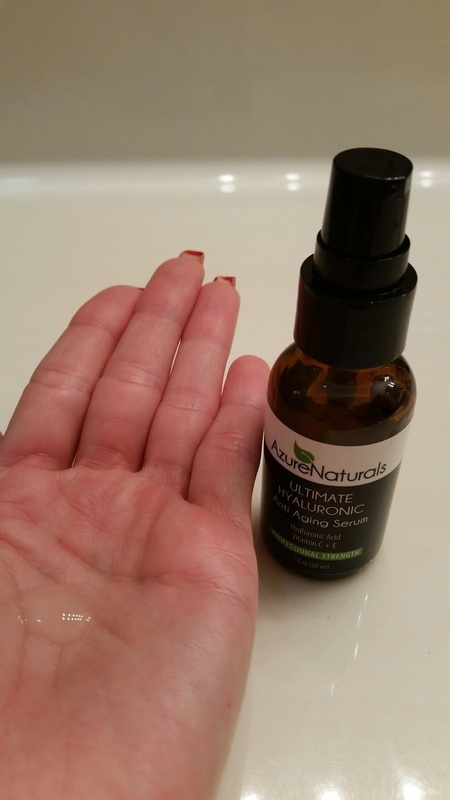 Recommended for Use With Azure Naturals ULTIMATE VITAMIN C.
-Our Hyaluronic Acid Serum Will Deeply Hydrate Your Skin, Removing Fine Lines and Wrinkles! -ONE YEAR MONEY BACK GUARANTEE: We are so confident that we have created the best Natural and Organic skin care products available we back all of our products by a 365-day, 100% Hassle-Free, Money Back Guarantee. If you don't absolutely love any of our products we will give you a full refund, including shipping, no matter where you buy the product! This product is available for purchase on Amazon in a 1 oz or 2 oz bottle. The price is $17.95 for a 1 oz bottle on Amazon (on sale from the list price of $83.95) or $29.95 for a 2 oz bottle (on sale from the list price of $139.95). However, Azure Naturals was nice enough to provide a promo code to share with my readers! The PROMO code AZUREBLG will give you 30% off. Please note this code expires June 30th! This is Orange You Special. 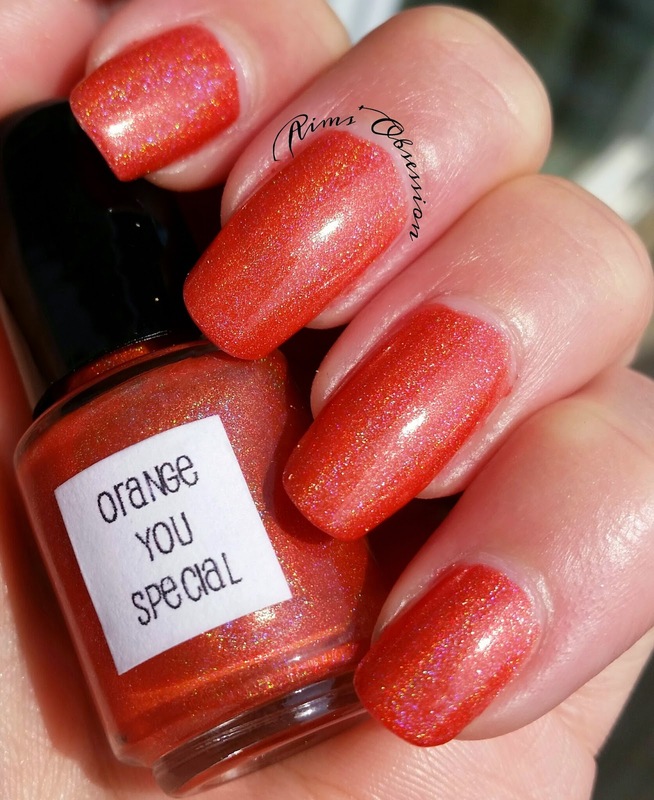 The formula for Orange You Special does not disappoint. It goes on super smooth and easy with a quick dry response time! Perfect for summer! 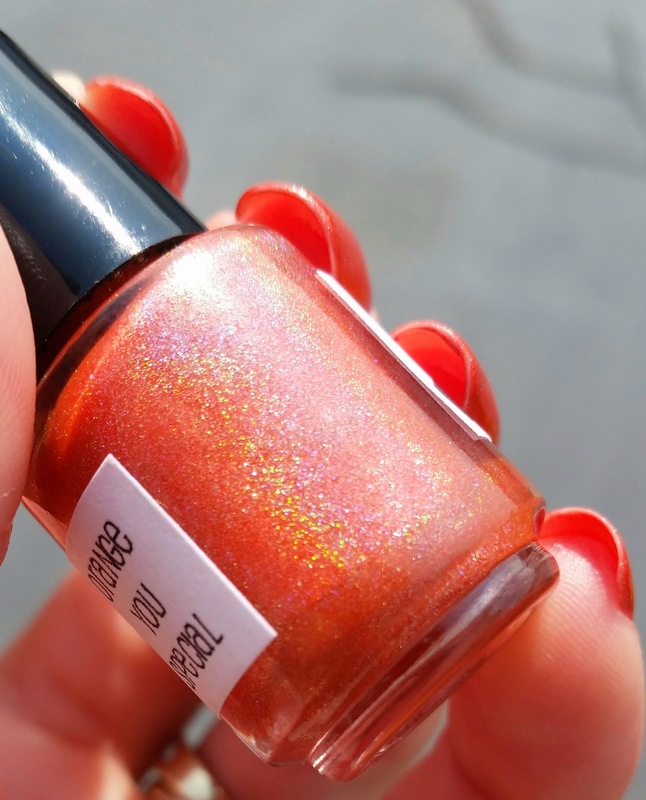 Just look at the gorgeous holo that explodes with the sun! The pictures really do it no justice. You MUST see it for yourself in person! Here's a bottle shot for you! If you are taken by "Orange You Special" as much as I am, then head on over to the Vapid Lacquer website and purchase yourself a bottle! It is only $10 for a full size (15mL). While you are there check out some of the other gorgeous polishes that Vapid Lacquer has to offer. Here's some discount codes for you!